The ocean is full of pleasure and gifts. Freshwater Pearls are always a touch of class and sophistication. Various pearl shapes, sizes and colors. 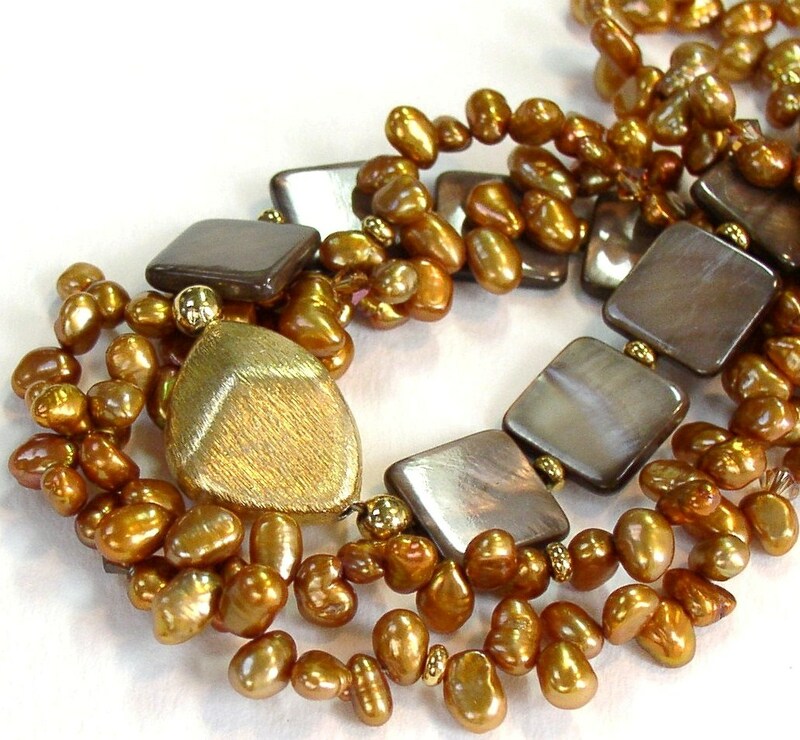 Mother of Pearl in various shapes and colors that are so rich to behold and shells in their natural beauty. From the warmer waters, there are e also several types of coral - Bamboo and sponge corals. All are accented with crystals and metal. A wonderful twist for classic pieces.